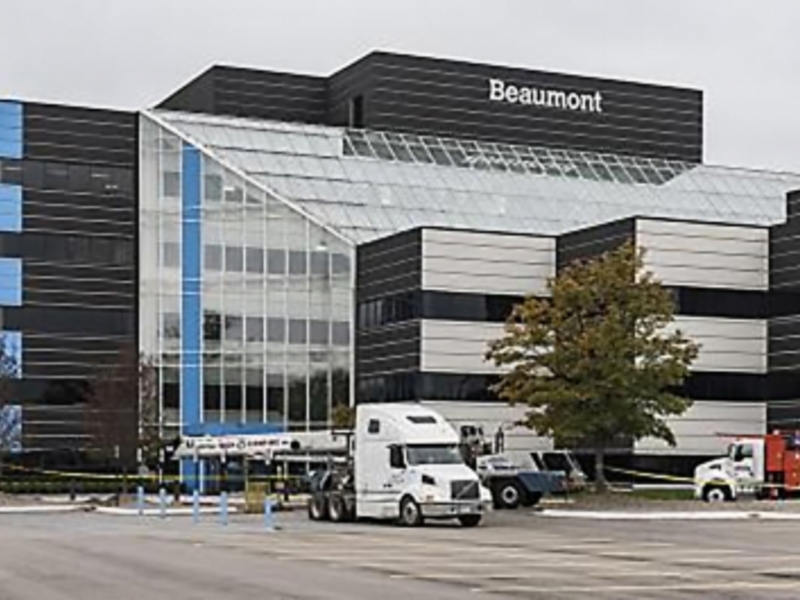 Southfield-based Beaumont Health has confirmed it has sold a majority share and transfer operations of its seven-county home health and hospice agency to Alternate Solutions Health Network, a Kettering, Ohio-based for-profit home health company. Crain’s reported last month that the eight-hospital nonprofit health system had reached a deal with Alternate Solutions to form a new company, Beaumont Home Health and Hospice LLC, and transfer a majority of its employees to the new joint venture, effective Jan. 1. At the time, Beaumont officials declined interviews. In a news release Wednesday morning, Beaumont said “a growing need for home health and hospice services in Southeast Michigan has prompted Beaumont” and Alternate Solutions “to create a joint venture that will expand access to these critical services.” The deal closed Monday. John Kerndl, Beaumont’s CFO, said that about 12 months ago Beaumont began looking for outside expertise in home health to tap into the expertise of a larger company with more resources. He confirmed Beaumont sold 90 percent of its home health company for an unspecified price, but said Beaumont retains certain “supermajority” reserved powers, two of five board seats and the right to buy back the business if various metrics aren’t achieved. While Alternate has day-to-day operational control, Kerndl said Beaumont views the transfer more as a partnership with a strategic growth plan. “We think we are just as invested on Jan. 2, as we were on Dec. 31,” he said. Founded in 1999, Alternate Solutions specializes in joint ventures and partnerships with health systems like Beaumont. It has formed about 20 similar partnerships includes health systems in Ohio, West Virginia, Virginia and Florida. Some systems include Inova Health System in Virginia and Memorial Health in Savannah, Ga., Beaumont officials said. “We look forward to working with Beaumont to serve patients who need home health or hospice care. Our team is impressed by the compassionate care delivered by the Beaumont team and we are eager to offer home health and hospice services to more patients in Michigan,” Tessie Ganzsarto, Alternate Solutions’ co-founder and co-CEO, said in a statement. Barry Cargill, president of Michigan Home Care and Hospice Association, said payment cuts have forced home health agencies to become more efficient and seek larger size through consolidation for economies of scale. He said Michigan has a moratorium on new home health company startups, so growth through acquisition is the only way to enter the market. “It’s not new that home health agencies are partnering with hospital systems” to improve patients’ post-acute care experience and reduce inpatient readmissions, said Cargill, who added it is somewhat unusual that Beaumont is retaining 10 percent ownership in the company instead of an outright sale. “The industry has been changing. Beaumont is being innovative and looking for ways to stay profitable and deliver high-quality services,” he said. Cargill said Beaumont’s sale of a majority of its home health business is the first time for a hospital-based company in Michigan. Hospital operators generally use home health operations to help manage its recently discharged patients. Other health care systems in Michigan that operate their own home health and hospice subsidiaries or companies are Henry Ford Health System, Ascension Michigan, Spectrum Health, McLaren Healthcare and Trinity Health. Ascension recently announced expansion of its post-acute care services, and other health systems have improved management services and linkages between inpatient discharges, home health, hospice and rehabilitation services. Some other large independent home health companies in Michigan, including Residential Home Health and Hospice and Great Lakes Caring Home Health and Hospice, have contracted with hospital systems to manage their home health or hospice services. Over the past year, Beaumont received at least one offer to buy its home health business from a Michigan-based company, Kerndl said. During the past several months, officials began discussions with other home health companies before deciding on Alternate Solutions. Beaumont announced its plan to employees in late November. Grant said Beaumont has notified patients of the change, but some patients and families have complained about lack of notification. Kerndl said Beaumont chose Alternate Solutions for several other reasons, including positive feedback from several health systems about their experience with the company and how it manages caregivers, strives for quality care and focuses effectively on revenue cycle operations. Kerndl said Beaumont will ask Alternate Solutions to contract with Beaumont to share financial risk for patient care when Medicare and other private payers implement bundled payment systems in the coming years. Under bundled payments, payers set a fixed price for a range of inpatient, outpatient or post-acute care services and expect providers to manage costs for that amount. Those that do make money; those that don’t incur losses. Payers could providers more for hitting quality targets. While Beaumont said it has reviewed Alternate Solutions’s quality metrics and is happy with them, the company does not have Medicare home health star ratings like other major home health companies in Michigan. For example, Residential has four stars for quality and three stars for patient satisfaction. Beaumont Home Care has three stars for quality and four stars for patient satisfaction. Alternate Solutions also isn’t accredited by the Joint Commission like Beaumont Home Health and Hospice. Officials for Alternate Solutions were unavailable for comment. Susan Grant, R.N., Beaumont’s chief nursing officer, said Beaumont will begin to track quality and patient satisfaction measurements after a joint quality committee designs the metrics that will include patient satisfaction and readmission rates. “Alternate) has been able to bring readmission rates down with other systems,” said Kerndl, adding that Beaumont expects Alternate to help it further reduce readmission rates. Under the Affordable Care Act of 2010, Medicare began penalizing hospitals for inpatient readmissions within 30 days of hospital discharges for certain conditions. Last year, Medicare’s readmission rule reached its maximum penalty and deducts a full 3 percent from Medicare payments for hospitals that fully fail to meet their readmission targets. As a result, most hospitals lose money when they need to readmit certain patients within 30 days of discharge. Health systems typically operate home health companies to help manage care after hospital releases and reduce readmissions. Despite significantly reducing readmissions, Beaumont Hospital in Royal Oak lost $ 2.4 million in Medicare reimbursement in 2018 with a 17.6 percent readmission rate, slightly above the national average of 15.3 percent. While those rates are lower than in previous years, Beaumont still lost money based on the formula Medicare uses. Beaumont Home Health employs about 700 full-time equivalents and serves about 12,000 patients annually in Southeast Michigan. The joint venture doesn’t include Beaumont’s durable medical equipment, home infusion and personal assistant services, Kerndl said. Grant said many Beaumont home health and hospice caregivers and managers have accepted positions with the new joint venture company. She said families and patients served by Beaumont will benefit from the additional expertise of Alternate Solutions. Kerndl confirmed that Alternate Solutions will not need Beaumont’s approximately 110 office staff, who mostly conduct revenue cycle operations, including billing and collections. He said 70 percent of the revenue cycle employees in Beaumont’s home health business office have found other positions within Beaumont. Other office employees include those in quality assurance, medical records and education. Kerndl said he could not estimate how many Beaumont home health and hospice employees accepted positions in the new company. But he said “we have 50 openings for every one of those individuals (who still haven’t applied for open positions)” and those who accept other positions will retain their previous benefits. Several employee sources, who asked for anonymity, have told Crain’s that home health nurses, physical and occupational therapists, social workers and other caregivers who remain with the new joint venture company could have their pay cut 20 percent to as much as 40 percent compared with Beaumont’s current salary scale, amounting to up to $ 10,000 in reduced salary. Health insurance benefits, vacation time and quarterly bonuses also would be reduced, they said.